There are people who make up cornerstones on which a long history of resistance is built for millions to follow. There are grim wills that make the enemy fall on its knees and overcome its cruelty and savagery. There are humans that look on to the horizons, calmly sing the beautiful song of life and then become eternal. Fatemeh Amini was one such human being. Fatemeh was born in the city of Mashhad (northeastern Iran) to a religious family who were political and progressive. She, too, started her political activities against the Shah’s dictatorship in 1962 when she was studying at Mashhad University’s School of Literature. Soon, she and her friends founded the Association of Progressive Women. Fatemeh graduated from university in 1964 and began teaching in girls’ high schools in Mashhad. At the same time, she tried to familiarize them with social and political issues. In 1970, Fatemeh moved to Tehran where she got to know the newly founded People’s Mojahedin of Iran (PMOI), and after a short period of active involvement, she became a member of the group. In 1971, the Shah’s secret police (SAVAK) launched a major campaign to discover and clampdown on dissident groups, including the PMOI. A large number of the group members were arrested and imprisoned. In the very difficult conditions that ensued, Fatemeh secretly but persistently continued her activities. However, she was also arrested in March 1975. To have an open hand in torturing her, SAVAK had a news published in the daily newspapers indicating that Fatemeh Amini had been found dead after falling from a mountain. So, Fatemeh was flogged and tortured for days and months until she was paralyzed, but she put up a staunch resistance and did not give any information to SAVAK. Finally, she was killed under torture on August 16, 1975. 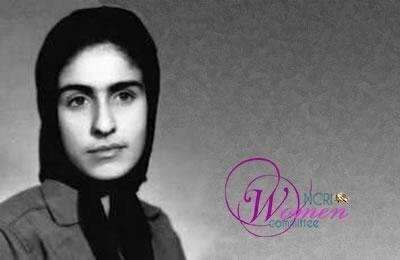 Fatemeh Amini was the first PMOI woman to be killed in struggle, but she did not die as thousands of young women followed her example in the subsequent years.